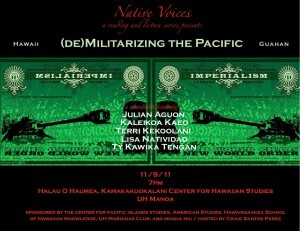 NATIVE VOICES #3: 11/9/11, 7pm, Halau O Haumea, Kamakakuokalani Center for Hawaiian Studies. 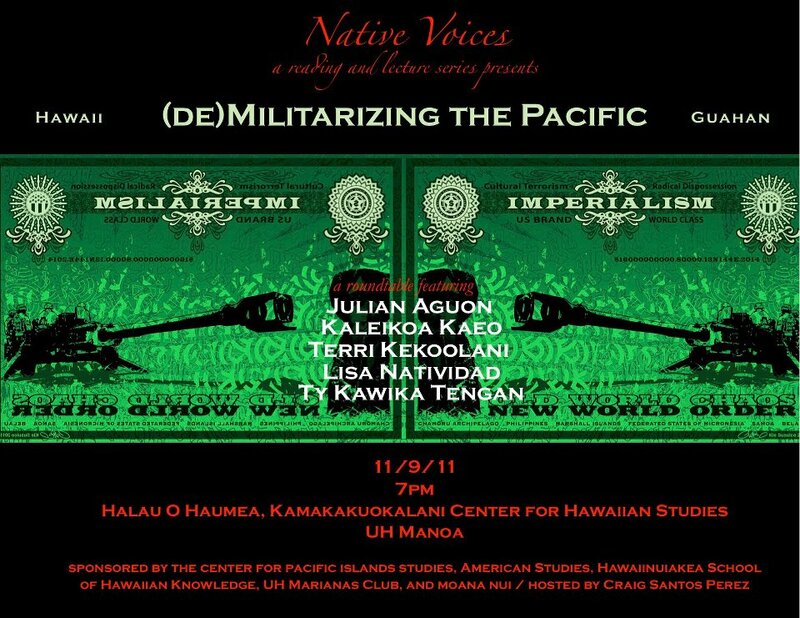 DEMILITARIZING THE PACIFIC: a roundtable featuring scholars & activists from HAWAII & GUAHAN, including JULIAN AGUON, LISA NATIVIDAD, TY KAWIKA TENGAN, TERRI KEKOʻOLANI, & KALEIKOA KAʻEO. Hosted by CRAIG SANTOS PEREZ.